All-electric cars are expected to be more environmentally friendly in the future - in 2040 by at least 30% and up to 70% in favorable circumstances. The conclusion comes from a researcher team from the Paul Scherrer Institut in Switzerland, Leiden University (Netherlands) and PBL Netherlands Environmental Assessment Agency, that performed Life Cycle Assessment (LCA). The study included new factors like changes in driving patterns due to autonomous/connected vehicles and changes to the electricity sector. 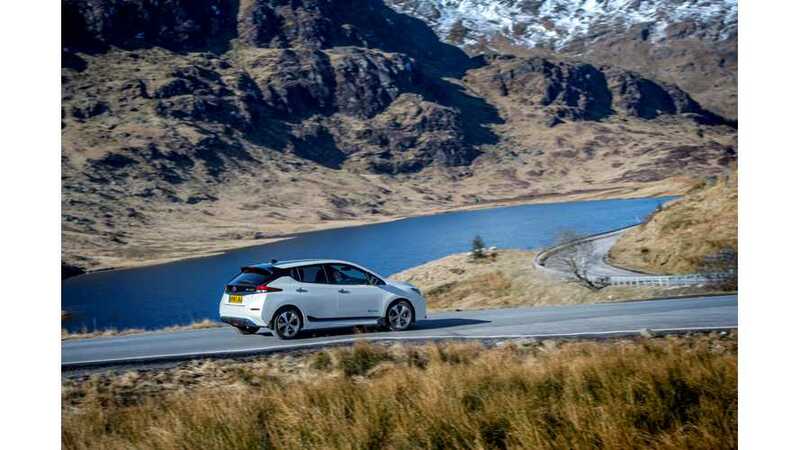 Future electric cars should have 20% lower environmental impacts compared to current ones thanks to better technology, and depending on other factors, the overall improvement will be between 30% to 70%. "The future environmental impacts of battery electric vehicles (EVs) are very important given their expected dominance in future transport systems. Previous studies have shown these impacts to be highly uncertain, though a detailed treatment of this uncertainty is still lacking. We help to fill this gap by using Monte Carlo and global sensitivity analysis to quantify parametric uncertainty and also consider two additional factors that have not yet been addressed in the field. First, we include changes to driving patterns due to the introduction of autonomous and connected vehicles. Second, we deeply integrate scenario results from the IMAGE integrated assessment model into our life cycle database to include the impacts of changes to the electricity sector on the environmental burdens of producing and recharging future EVs. 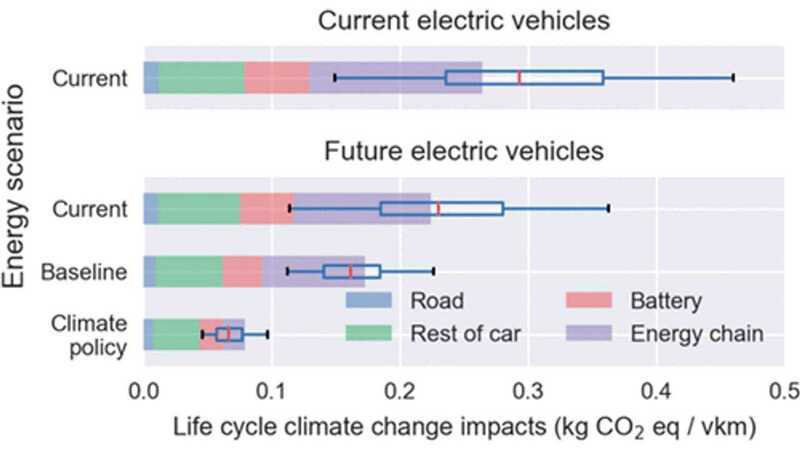 Future EVs are expected to have 45–78% lower climate change impacts than current EVs. Electricity used for charging is the largest source of variability in results, though vehicle size, lifetime, driving patterns, and battery size also strongly contribute to variability. We also show that it is imperative to consider changes to the electricity sector when calculating upstream impacts of EVs, as without this, results could be overestimated by up to 75%."